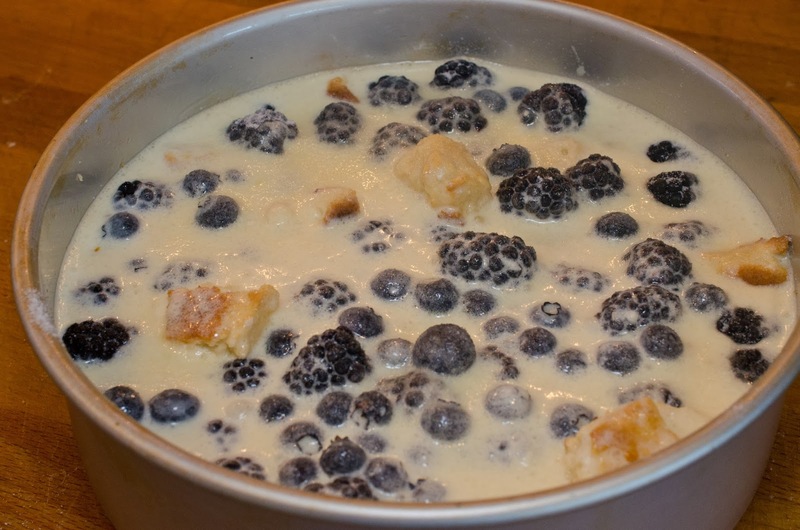 I pinned a recipe for blackberry pudding with lemon sauce recently and bought the blackberries and was ready to make it today when I realized the recipe used canned biscuits. I don't buy canned biscuits and store bought yogurt. Well since I don't buy either of those foods anymore that meant it was time to start over and remake the recipe my way. 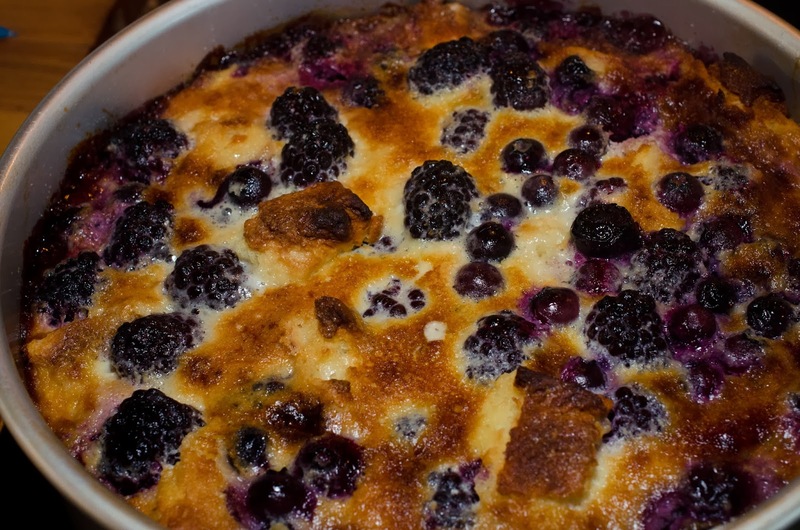 This pudding has very little added sugar versus the pinned recipe and I used Agave instead of sugar, I substituted and changed the desert and well it is similar to the recipe but with my own spin. It isn't very pretty, but it does taste yummy. Ingredients for the biscuits are: 2 cups self-rising flour, 1/4 cup coconut oil, and 2/3 cup buttermilk(I used homemade, recipe is here). 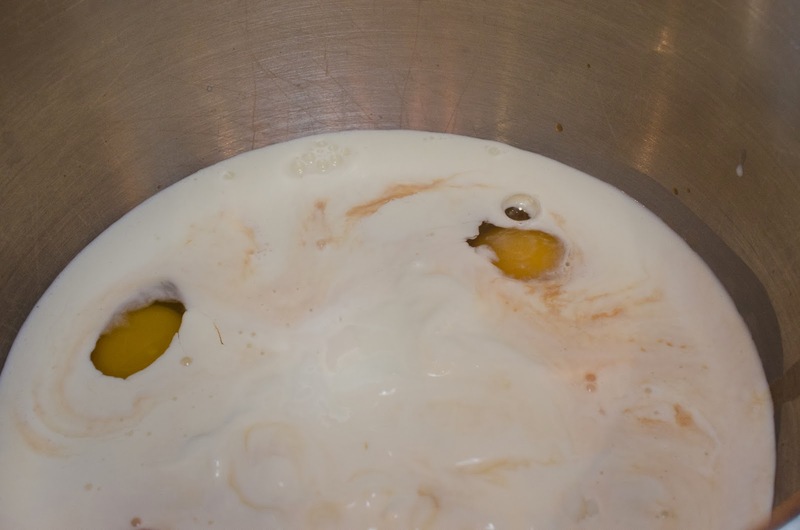 Mix flour and coconut oil together creating small pea size balls. 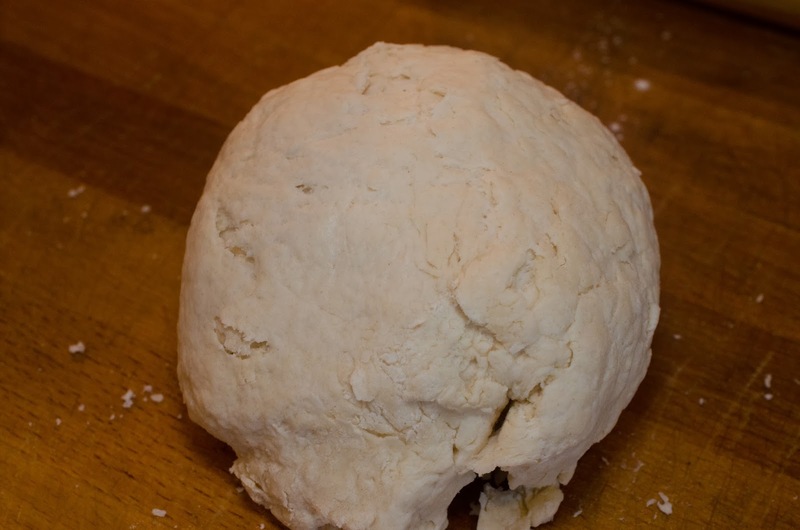 Add buttermilk and knead dough lighty, create a ball. 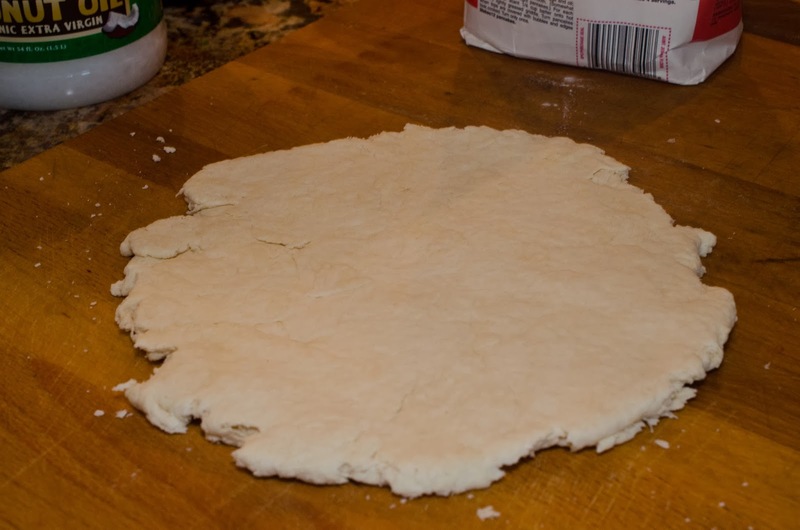 Roll out dough to 1/2 inch thickness. Cut into triangles. Place on coconut oil greased cookie sheet. 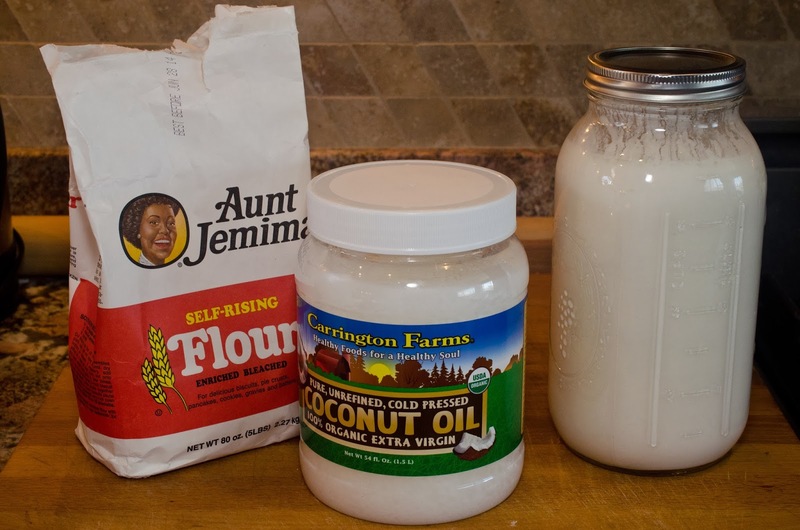 Brush coconut oil on biscuits. 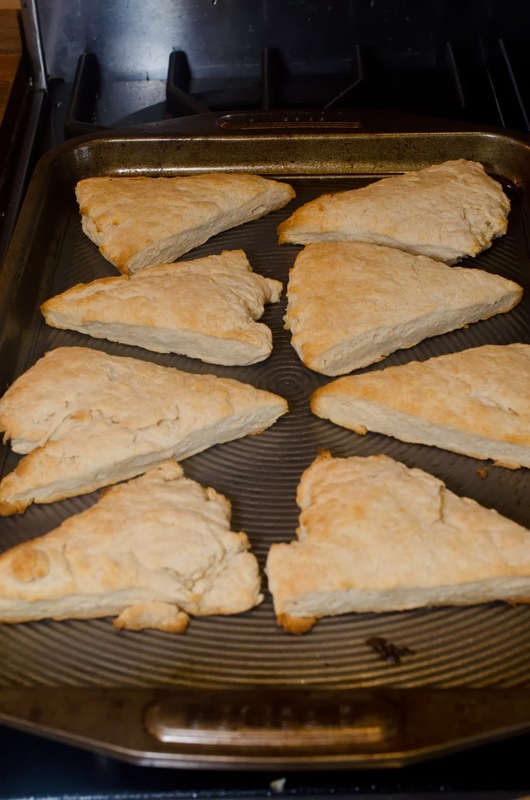 Bake biscuits for 10 minutes. 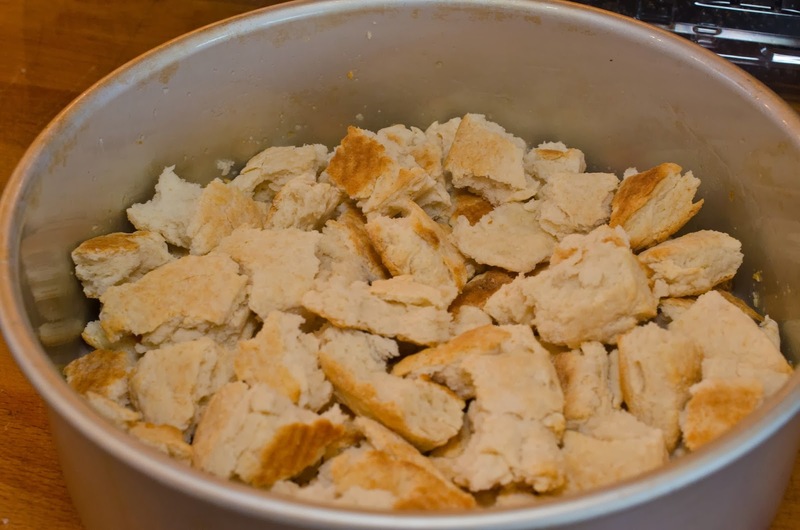 Break biscuits into 1 inch pieces and put in greased 9x13 cake pan or round 9 inch tall cake pan. 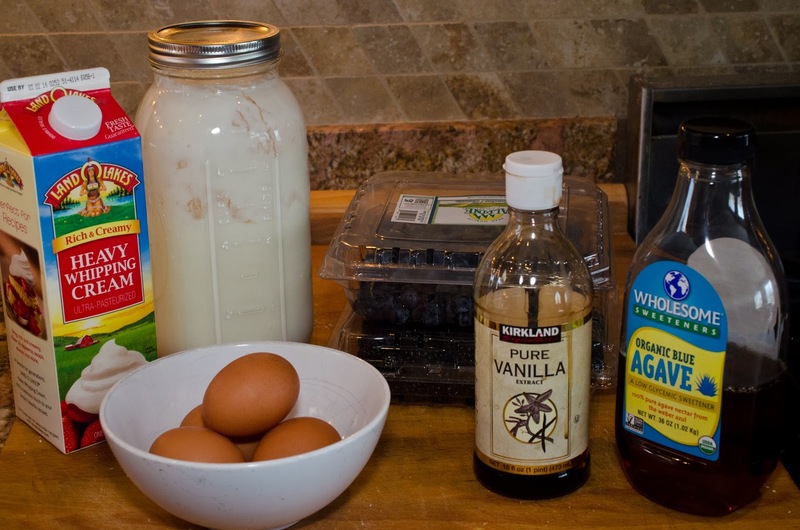 Ingredients for custard are: 1 cup heavy cream, 16 ounces plain Greek yogurt(I used homemade, recipe found here), 1/2 cup agave syrup, 2 teaspoons vanilla extract, 4 eggs, 2 cups blackberries, and 1 cup blueberries. Add ingredients to bowl, do not add fruit. 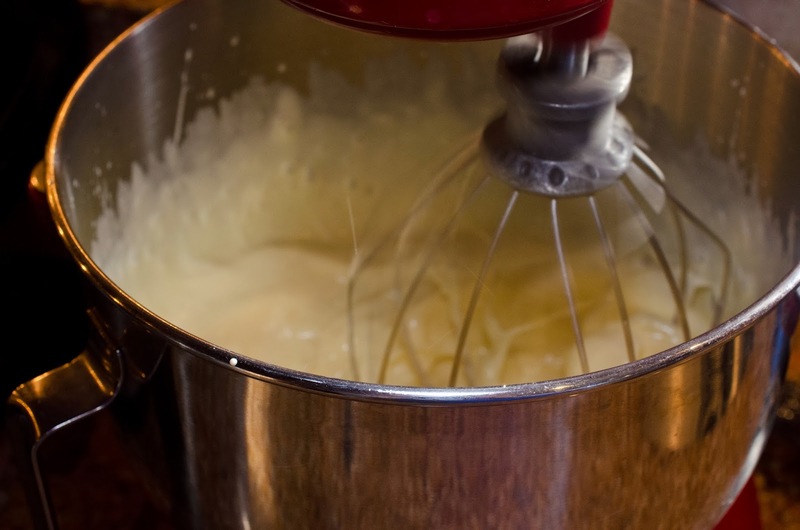 Beat with whisk, until mixed. After mixing add fruit and stir. Test center with toothpick, does it come out clean? 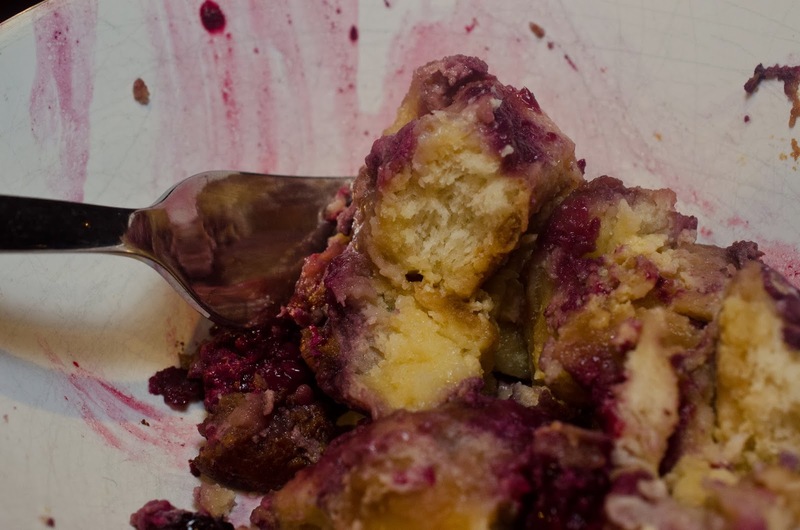 Again it isn't pretty in a bowl, but it tastes yummy. This looks delicious! I love berry treats.